I identify myself principally as a draughtsman; drawing being the most unencumbered and immediate form of image-making. My work is made with an intense and energetic immediacy, working instinctively rather than methodically, keeping me physically and emotionally involved in the process. I crush soft pastel in my hands rubbing the dust into the paper in wide sweeps of colour gradually manipulating the material to build up a thick layered surface using the ball of my thumb or the heal of my hand. Matthew is a popular, award-winning, Scottish-based landscape artist. He has had many one-man shows, mostly in Edinburgh, Cornwall and Bath. 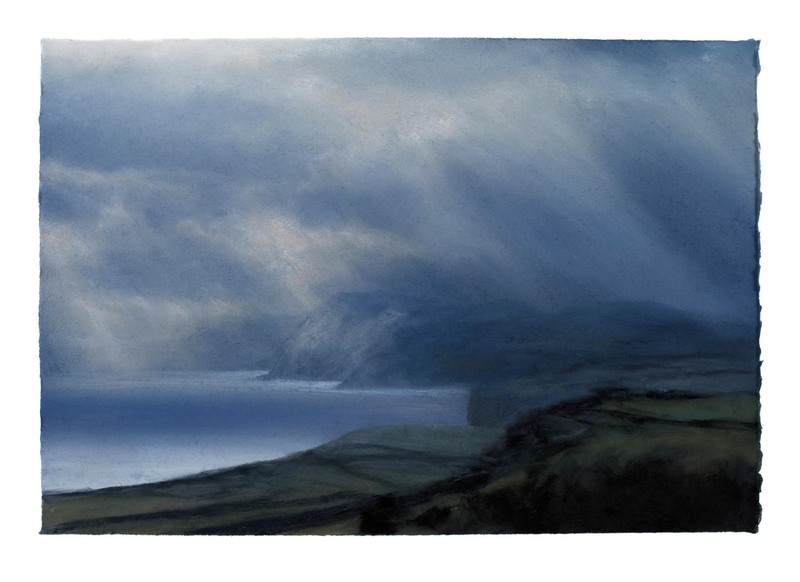 In 2017 he completed a series of paintings along Dorset’s Jurassic Coast that were exhibited at the launch Michael Caines’ Lympstone Manor hotel.